If you've ever wondered what it would be like to pursue ceramics in a big city, then read on...we found a fascinating secret spot! Greenwich House Pottery has existed as a center of ceramics since 1909 in what has evolved to be the hippest neighborhood in New York city. The three story brick building at 16 Jones Street, in Greenwich village, has 18 wheels, 3 gas kilns, 3 electric kilns, a slab roller, a clay mixer, two extruders and a great materials lab. They offer classes, workshops, gallery space, and student shows to the New York city ceramics community. The village is a great place for youth subculture, music, art, night life, food, and galleries. It's a place where artists are cultivated and appreciated. The village is home to many of the 'real people' in New York. What are the roots of a place steeped in tradition? Originally, Greenwhich House Pottery was a settlement house for immigrants coming to the United States through Ellis Island. Settlement houses provided assistance and skills to immigrants just starting out in America. Greenwich House Inc., the non-profit parent organization, provides a diverse range of community outreach programs. Their mission is reflected in the good spirit of the people at Greenwich House Pottery. It feels like a community and a support network as well as a place to learn about ceramics. WOW! I thought upon entering the studio. They have everything, you would never run out of new things to try here! They offer great resources and it's well organized. Their test tiles are descriptive and the glaze selection is extensive. They even had a wonderful chun blue glaze, something I've been dying to try. Everything has a detailed label on it, so if you want to learn, the information is there for you. Can you imagine the enlightenment you'd feel handling pots crafted by Bernard Leach, Shoji Hamada, Peter Voulkos, Paul Soldner, Warren MacKinsey, Ken Ferguson and many more? It's quite a thrill! Upstairs, there's a gallery with nice space for student work. It seemed like an ideal place to display some of the works of the famous artists. No doubt, it would provide inspiration to future potters. Steve Erickson was our guide. He's a one year veteran as studio manger. His role is to direct 4-5 studio assistants to run a smooth operation within a limited budget. And of course, to hold everything together in the chaos of about 400 students each semester. This spring Steve mastered the art of kiln building. It was his first solo mission. He admitted it was a challenge, but you should have seen the expression on his face as he told us about his first firing. Nothing fires like a fresh new kiln, the results are amazing. 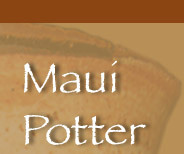 Check out their spring schedule to learn more about kilns and how they fire. No kidding, it's kind of like ordering a sandwich. You fill out a ticket indicating the kind of firing you'd like; oxidation or reduction, what cone number and clay body (mustard, pickles, and tomatoes on rye, please). Don't worry though, mugs are only about sixty cents including bisque and final firing. Greenwich House Pottery has a broad educational mission and boasts an above average faculty and staff. They offer an amazing array of classes including nine Wheel Throwing classes, fifteen Handbuilding & Sculpture classes, seven History & Process classes (including two glaze chemistry), and seven Children & Teen classes. Classes run $310 for adults (less for kids) for a session which lasts about three months (twice what I pay at Boulder's Pottery Lab). However, it's an amazing facility for a big city community studio. During the summer they offer week long workshops on specific techniques. Next summer, count us in! "If you asked me a year ago where I would be now, the last place I would have said was New York city." A year later, he takes pride in the smooth operation he runs. And he should. He's an excellent clay artist who's beginning to show his work around the city. His current project is an installation piece with a thousand little organic forms, which will eventually form one large sculpture. They looked kind of odd (unassembled) lying all around his studio. When we asked Steve, he shrugged and said they just started "coming out of him!" Sounds like the inspiration of a true artist. Next time you're in New York, check out this worthy charitable organization. Give them a call and maybe even plan a class or workshop. If you do, perhaps you will uncover the hidden treasures in the basement closet too! We hope you enjoyed this article. Click here to go to the Greenwich House Pottery Web site. PS: Next, we'll be reporting from Europe. If you know of any secret spots to check out in Amsterdam, Brussels, Paris, or anywhere in Spain or Italy, contact us at: .